"Released from the ice – Greenland’s commodities brought out into the open"
the perspective of a future commodities global player. 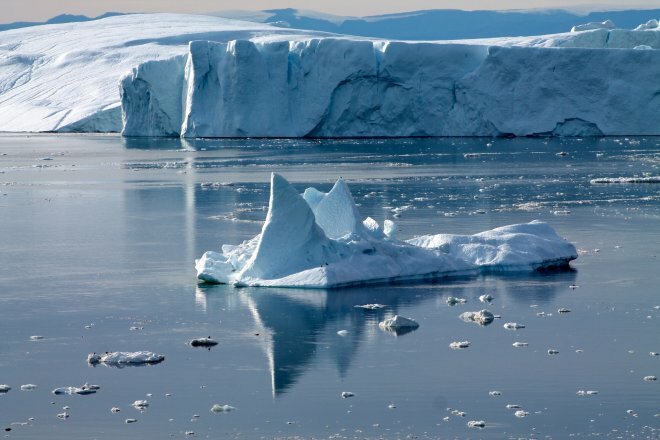 With the melting of the ice not only are commodities deposits released, but new logistical pathways also opened up, such as shorter shipping routes to Asia via the Pole. The commodities-hungry “emerging economies” already have an eye on Greenland’s resources. The country, which is politically part of Denmark but has far-reaching autonomy, thus faces huge challenges. Here at the interface between cultural independence and globalisation, this lecture will examine aspects of landscape, society and commodities trade. The huge social changes will be illustrated with a short excerpt from the film “The Wedding of Palo”, produced in 1934 by the celebrated Danish polar explorer Knud Rasmussen, taking us on a journey into a near lost world of hunter-gatherers. 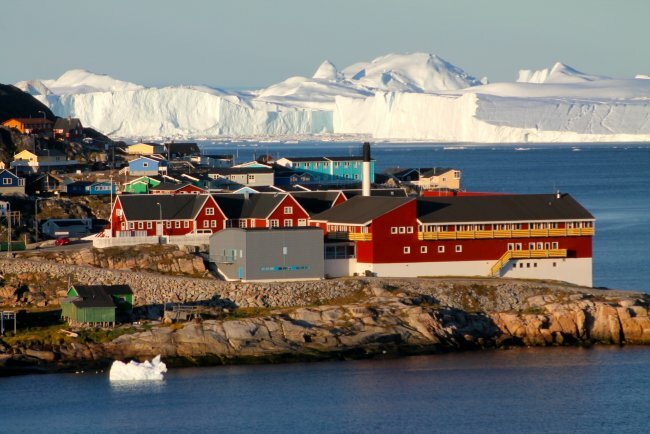 The Freiberg Geocompetence Centre has been working closely with Greenland since 2012 on numerous projects. 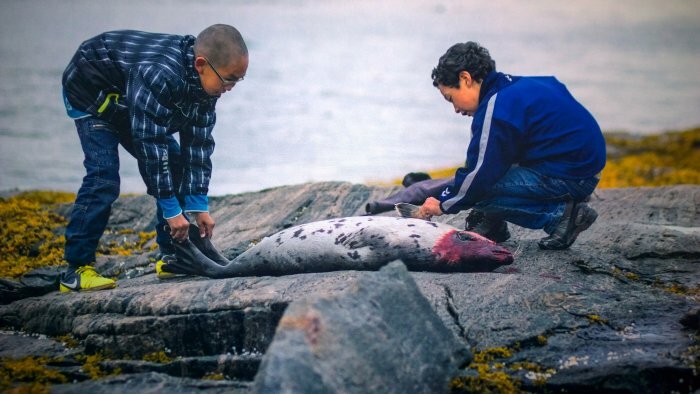 A selection of images will show the opportunities and risks facing Greenland in its development as a commodities partner of the future. The Kornhaus redevelopment is currently the most important municipal building site for public buildings in Freiberg. Before the end of 2015 the public library and AOK will move in as tenants. The energy supply to this historic medieval building is provided by a bivalent heating station using natural gas and geothermal energy. More than 50% of the requirements are met by 10 boreholes lying between the Fischerstraße car park and the Kornhaus itself. 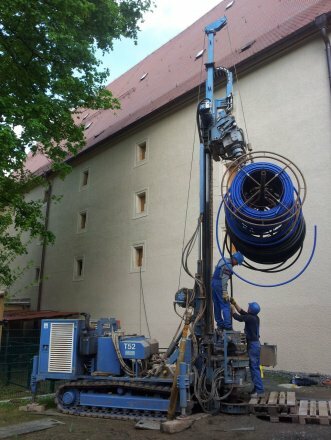 At 205 metres deep, the Freiberg Kornhaus boreholes are the deepest geothermal boreholes in the Free State of Saxony. 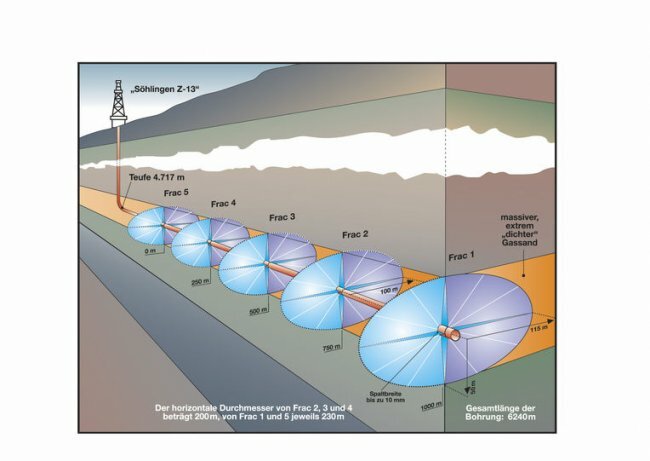 Unlike the geothermal probes normally used in Germany the ones here are hydraulically optimised – so-called turbocollectors – resulting in an added efficiency boost. In 2013 the first tests were carried out at a pilot site to determine the exact dimensions required for the bore field. The actual boreholes together with the horizontal coupling to the heat pumps were laid following a public tender process in spring/summer 2014. The lecture will explain the fundamental approach to the planning and implementation of this kind of system and will show the challenges encountered during the construction. 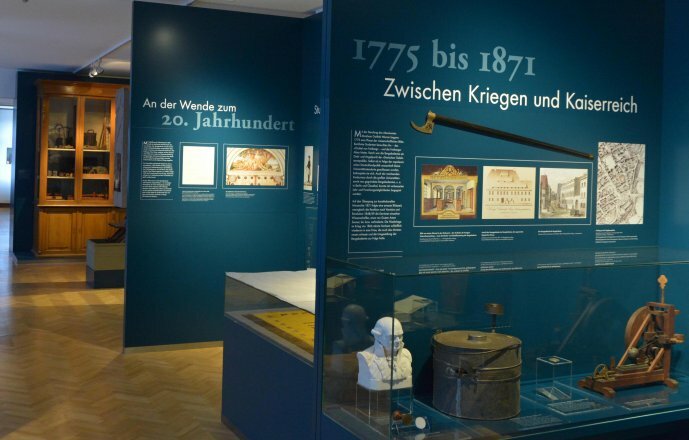 "From heritage gallery to Historicum"
Since 6 March 2015, a self-contained scientific exhibition illustrating the history of the TU Bergakademie Freiberg has been showing at the new Historicum. The exhibition conveys the close relationship between the development of the university and that of national and international science, technology, economy, politics and society. Historical artefacts bring the history of the alma mater fribergensis to life, especially exhibits on teaching and research, professors and students, local and international partners together with structural, mining and social developments at the university. Representative and historically significant pieces are on show from the Bergakademie’s collection of around 1.8 million items across nearly 40 different collections. The exhibition is self-explanatory and can be experienced on its own. It shows a university at its peak but also in times of need and makes one thing clear above all – the determination of the people who worked there to play their part in the development of the society of their time, to shape it, or indeed to overcome it. The lecture will review the principal stages of the development of the idea, introducing the optional visit to the permanent exhibition which follows. Entry to the Historicum: €3; TU BAF staff: €2; photographic permission: €3. "The earliest ancestors of mammals – Saxony’s wolf lizards of the Permian period"
Fossilised land vertebrates from Saxony are generally known from the early Permian period (c. 290 million years old) due to the geological situation. As far back as the 19th century an astonishing variety of amphibians, reptiles and pelycosaurs were being found during chalk quarrying in Freitel. 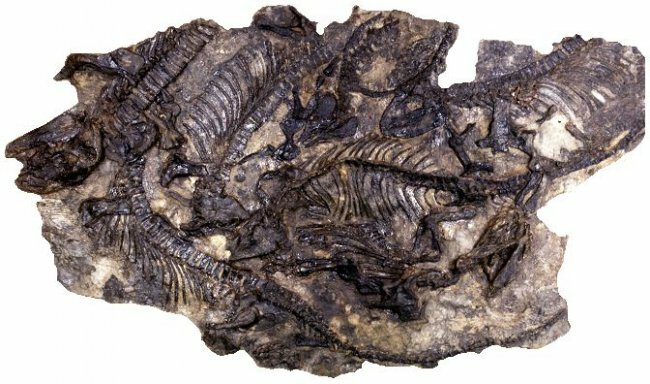 Pelycosaurs, as the nearest relatives of reptiles, are classed as the earliest ancestors of mammals. Among them is the genus Palaeohatteria, currently undergoing scientific investigation. Through anatomical comparisons and microscopic analysis of bone tissue it has been shown that Palaeohatteria is almost exclusively attested by youths of the species. The small predators show extensive similarities with Pantelosaurus, discovered at the beginning of the 20th century during mining of geologically older hard coal, also in Freital. Six skeletons of the genus Pantelosaurus lay very close to one another giving the impression of a pack, from whence the nickname wolf lizard. Both Pelycoaurs - Palaeohatteria and Pantelosaurus – have almost identical evolutionary histories and represent different ages of the respective species. We’ll be discussing why adults and youths were found in very different habitats. The use of renewable forms of energy will become increasingly important in the light of the disappearance of fossil resources for energy generation and the accompanying growing cost of fossil energy sources and global climate change. Whereas the potential for hydropower has been largely exhausted, significant further potential exists in the area of wind power. Due to the lack of additional available space on land, the use of wind power on land will in future be limited to the replacement of old facilities by new, more powerful ones (repowering). Against this backdrop, the development of offshore potential will increase markedly. Offshore wind power provides one of the key technologies in the worldwide energy strategy. In Germany alone by 2020 6,500 MW of wind power plants will have been installed. This corresponds to an investment of around 30 to 50 billion Euros. By 2030, an installed capacity of 15,000 MW is expected to have been achieved. The global potential for the development of deep water offshore wind power plants has been estimated at more than 3,000 GW. Around 75% of global offshore potential is to be found in waters more than 30 metres deep, around 2/3 in depths greater than 50 metres. 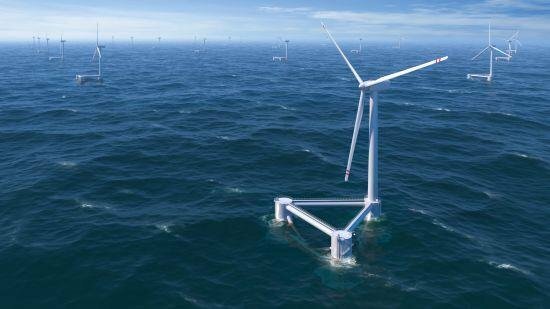 In the light of economic concerns regarding offshore wind farms in deep waters, floating facilities gain a far greater significance. "The Nördlinger Ries – the result of a cosmic catastrophe 15 million years ago"
Around 15 million years ago an asteroid made contact with the earth at the unimaginable speed of more than 70,000 km/h, forming a unique geological structure – the Nördlinger Ries. 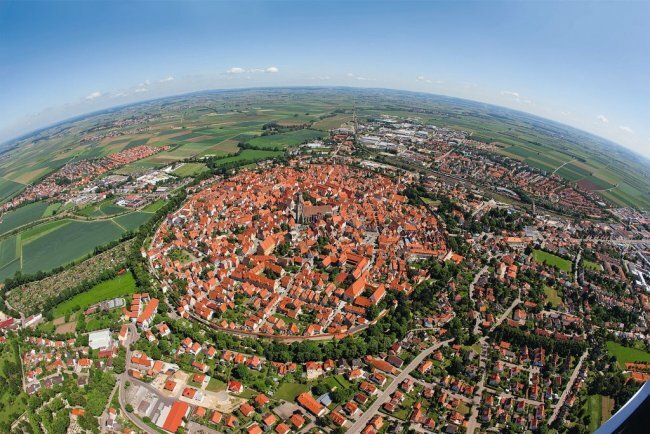 The Ries crater lies at the axis of the cities of Nüremberg, Munich and Stuttgart and separates the French from the Swabian Alps. Many famous researchers have examined the Ries crater over the centuries, offering a range of theories for the origins of this “sphinx” of German geology. The mystery was finally solved by two American geologists, Eugene Shoemaker und Edward Chao, in 1960. 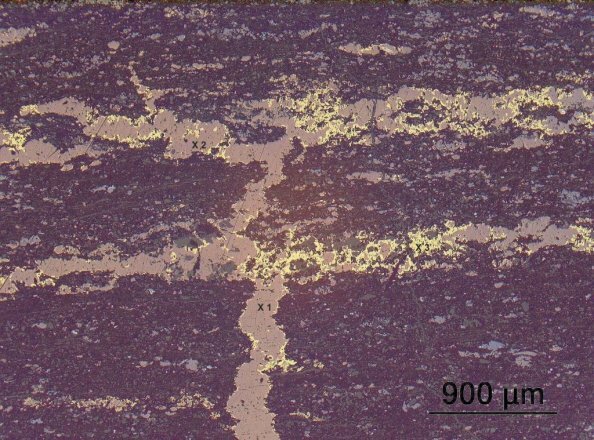 They discovered the significant coesite and stishovite quartz high pressure minerals in the suevite crater rock, thereby demonstrating the extra-terrestrial origins of the Nördlinger Ries. Today the Ries ranks as one of the most thoroughly studied impact craters on earth. The principle of progressive shock metamorphism as well as the nature of typical impact rock (suevite, lat. = Swabia) were both first described here. Because of the excellent conditions of the Ries crater outcrops, the Apollo 14 and 17 astronauts carried out topographical training at the Ries in the summer of 1970 to prepare themselves geologically as best they could for their journey to the moon. The Nördlinger Ries became a national geopark in 2006 with excellent infrastructure, its visitor information boards at the various outcrops and quarries inviting guests to set out to discover a cosmic catastrophe. This adult lecture completes terra mineralia’s holiday programme on the theme of mineral oil. Fracking - it’s one of the enduring controversies of our time. Hydraulic fracturing or fracking refers to a technology used in deep drilling and extraction. It serves to stimulate and increase the productivity of oil, gas and geothermal boreholes by significantly improving access conditions to the boreholes using artificially-created fissures. For this, a fracking fluid is required. Together with this, sand is simultaneously injected as a proppant to keep the fissures which have been formed open, since the pressure in the formation decreases significantly following the fracking procedure and the fissures could thus close up again. Fracking has been carried out in oil and gas deposits in the USA since 1948. Since 1961 it’s in Germany, and has in this time been technically and scientifically developed to become a standard deep-drilling technology. 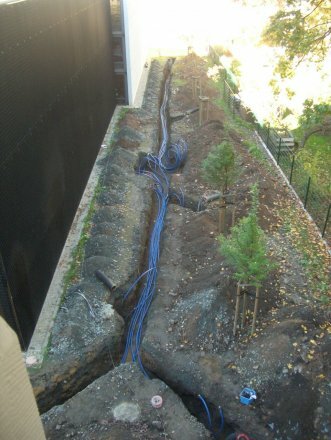 However, on account of the environmental concerns and earthquake risks, it is highly controversial. Interested parties are thus invited to take a realistic look at the advantages and disadvantages, as well as the future possibilities for fracking. 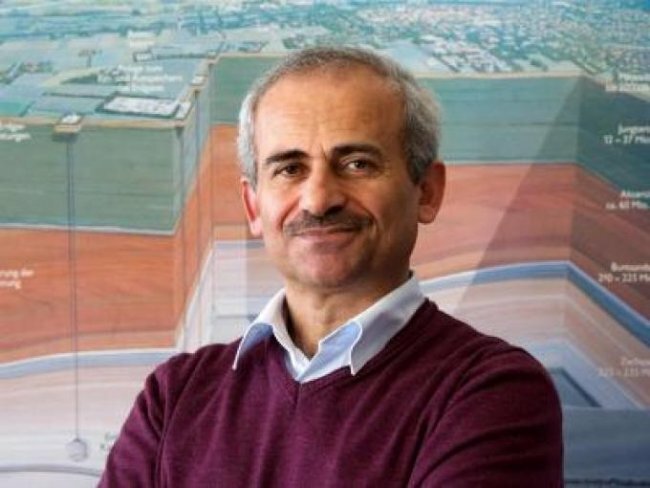 Professor Mohammed M. Amro (54) has been Professor of Geofluids, Materials Handling and Storage Technology since 2009, and Director of the Institute of Drilling Technology and Fluid Mining since 2013, both at the TU Bergakademie Freiberg (Saxony). Prior to this, he taught at, among others, King Saud University in Riyadh, Saudi Arabia and worked as a natural gas engineer in the state of Qatar. He was born in Hebron, Palestine in 1960. He studied deep drilling technology and oil and gas extraction at TU Clausthal (Lower Saxony). afterwards visit of the model collection. mie Freiberg’s historical collection. Of these, a whole range have been restored in recent years and are now available for viewing for the first time. The presentation has also been expanded with tools, lamps, rope samples and pump pistons from the old mining collection. The foundation of the Freiberg collection was laid with the establishment of the Bergakademie in 1756. In order to provide better demonstrations of technical facilities for the purposes of training in mining and metallurgy, the founder, Friedrich Wilhelm von Oppel, Chief Mining Administrator at the time, gifted the Bergakademie with several models. Over the coming years, the collection grew as models were either purchased or specially commissioned. In 1840, the Bergakademie even established its own model workshop. 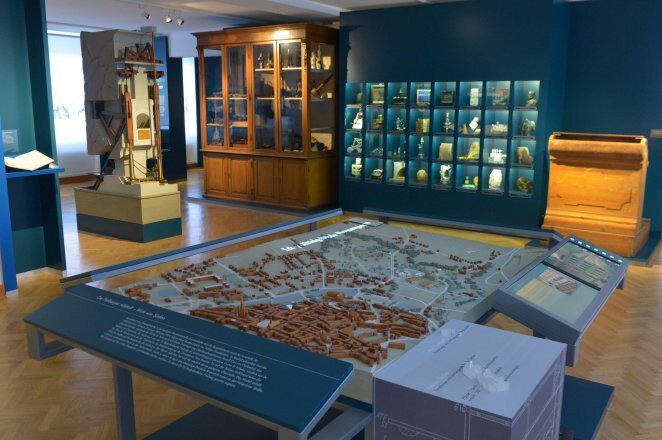 Among the oldest exhibits in the Freiberg collection are a 1773 water-column engine and a model of the disused Annaberg pit. 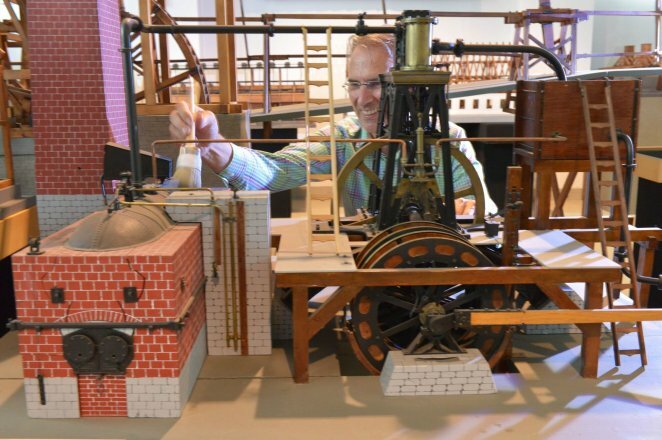 Replicas of engines from the region especially lend the Freiberg collection its unique significance, including a model of the fire station at the Halsbrücke amalgamation plant. 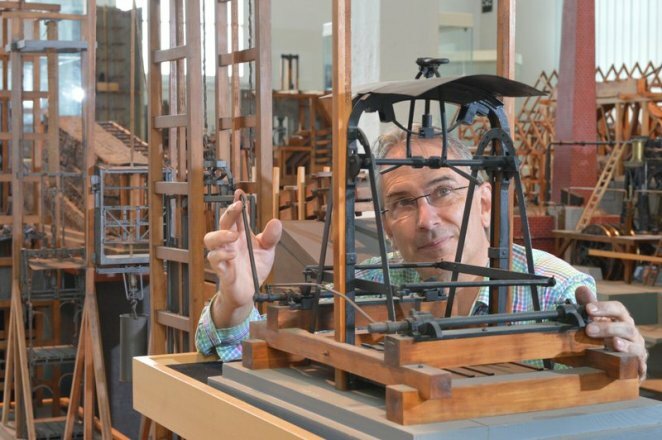 After the lecture, Dr Jörg Zaun will lead guests on a tour of the model collection. "The Zechstein and its copper deposits between Spremberg and Leszczyna"
The Spremberg copper and silver deposit in Lusatia is the largest deposit of its kind in Germany. It has been the subject of public interest for nearly ten years now. Its mineralisation is tied to the copper shale, Zechstein limestone and the upper portion of the Lower Rotliegend. Historical mining in Silesia was as it were the inspiration for its discovery. Alongside a rich copper mineralisation, the deposit also contains other non-ferrous and precious metals such as silver and gold in not inconsiderable quantities. Today, copper is the third most important metal commodity after iron and aluminium. The red metal is part of everyday life in the 21st century and in large part shapes industrial progress. Businesses are thus exploring the Lusatia deposit for economic mineability. Visible activities in Lusatia in recent years have been various deep drilling programmes. Dr Jürgen Kopp, a mineralogist and specialist mineral deposit geologist, is today the recognised expert in Lusatia Zechstein. He has been working on the topic for many years in both scientific and official contexts. Around a dozen publications of his have served as a significant foundation for the recent exploratory activities in Lusatia. The Freiberg Colloquium partners have been able to secure Dr Kopp’s services for a lecture. He offers interested guests a lecture with new geological discoveries, tracing an arc from the Lusatian Zechstein deposit all the way to Lower Silesia. Fig. 1: Pure copper from AURUBIS’ anode foundry in Hamburg, the largest copper smelting works in Europe. Fig. 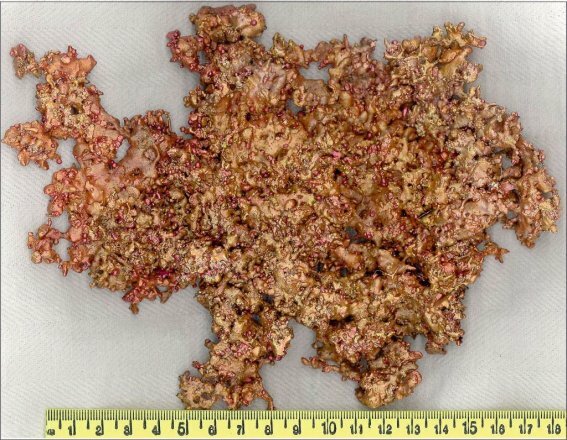 2: Copper ore from the Spremberg deposit: bornite replaces pyrite. On the occasion of TU Bergakademie Freiberg’s 250-year jubilee, terra mineralia, the Bergakademie’s permanent exhibition, will be displaying a selection of around 100 objects from the renowned Middelschulte porcelain collection from 21 November 2015 to 28 February 2016. 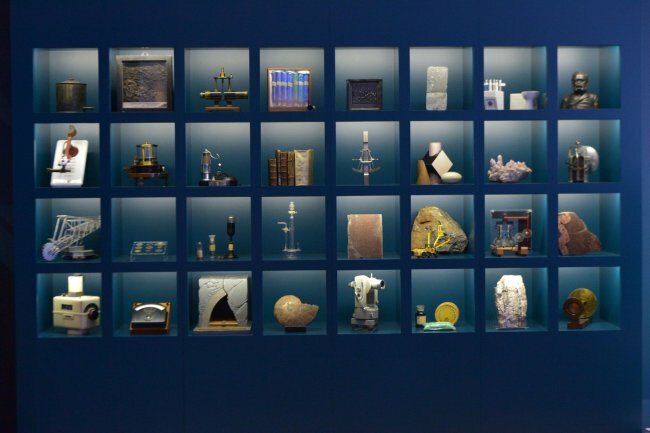 The Achim and Beate Middelschulte Foundation – established by Dr Achim Middelschulte, a mining assessor, and honorary professor and member of the board of trustees of TU Bergakademie Freiberg – is making this display possible, providing a number of its porcelain objects from the famous manufactories of Meißen, Fürstenberg, Berlin, Vienna and Würzburg. The oldest exemplars date from the time of August I the Strong, Elector of Saxony (1670-1733), who was the impetus behind the rediscovery of porcelain in Europe. What all the items have in common is featuring illustrations from the mining world: mining figurines, putti in mining clothes, tea and tobacco tins, cups, tureens, complete dinner services, coffee pots, plates, and an impressive centrepiece featuring representatives of the various mining professions – all of them testifying to the enormous significance of mining in previous centuries. The various porcelain products were decorated with mining scenes and illustrations of smelting works, pits and even mining towns. Within the context of his lecture, Dr Achim Middelschulte will also explain to guests how he now continues the mining tradition of his family and has thus assembled the world’s most comprehensive private collection of mining-inspired porcelain.